Add odious Eric Schneiderman, now the former NY State Attorney General, to the list of one more Leftwing activist SJW serial creep hiding behind the paper-thin mask of Progressive virtue. Remember Harvey’s last desperate plea for mercy assuming, as always, that his PC credentials would balance out and cover for his sins? 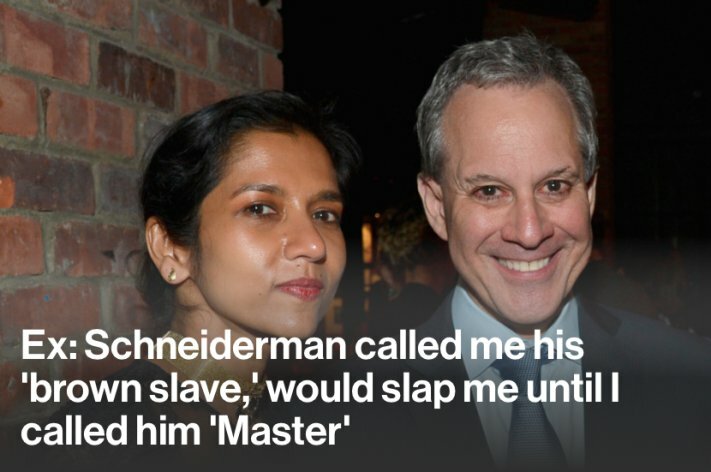 Now Schneiderman, the self-appointed Sir Galahad of the noble “Resistance,” finds himself exposed as a sadist with a spicy penchant for antebellum slave/master fantasy involving dark-skinned women. Which includes slapping them around. 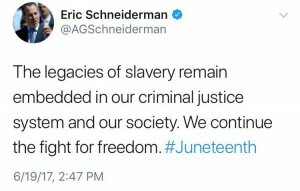 The chief law enforcement officer of the State of NY. Friend of the Little Guy. Feminist hero. Climate Change savior. 4-Star General in the War On Trump. Woman beater, sexual pervert. 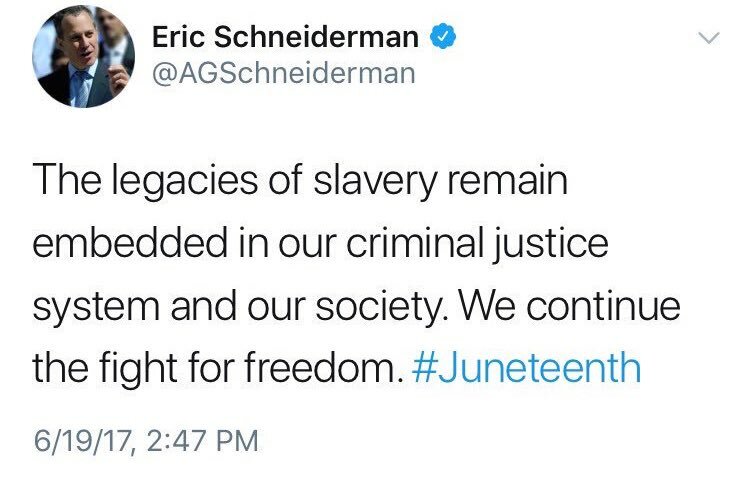 Irony? Not really. Just another hardened criminal “role-playing” public crusader. 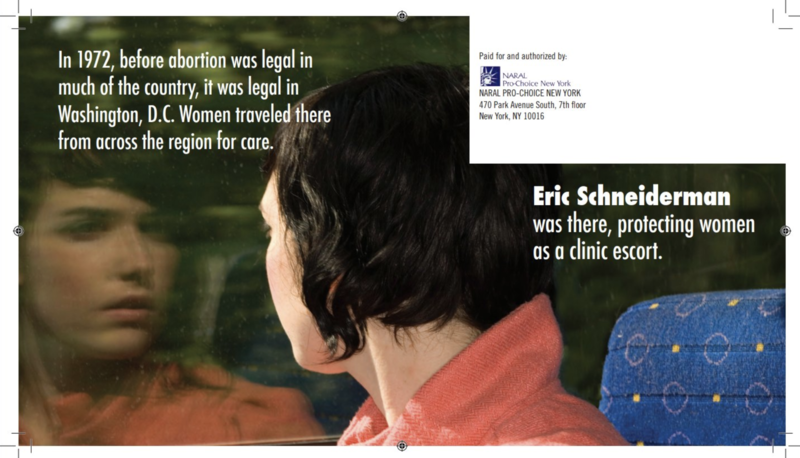 The good news is that there is a comeuppance for that virtue-signaling infestation who find sanctuary in the circled wagons of high level Progressive politics. 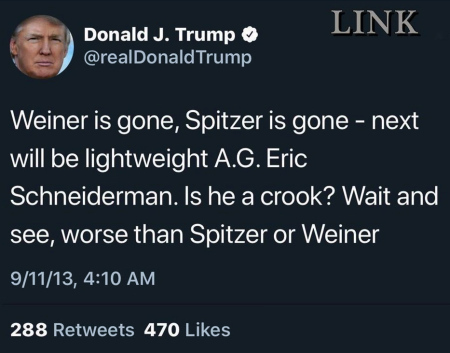 Occasionally, some things just look bad enough for one of these criminal types that he finds that he suddenly wants to “spend more time with my family.” Interesting that a certain future Presidential candidate and longtime Schneiderman nemesis had the goods on this one years back (2013). This man still remains seriously underestimated. The bad news is that there is still plenty of wiggle room for the likes of Mary Jo’s friend Teddy Kennedy, Juanita’s friend Bill Clinton and their would-be imitators. Not to mention their equally rank female counterparts and enablers like Hillary, Nancy, Fauxcahontas, the up-and-coming Kamala. 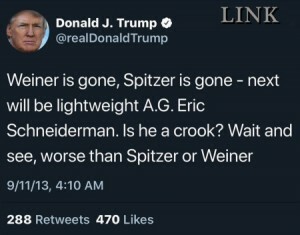 The future AG of New York State. A girl’s best friend. Sadly, it’s still apparent that there is no corruption that can’t be overlooked if one is a card-carrying, wildly virtue signaling Democrat. 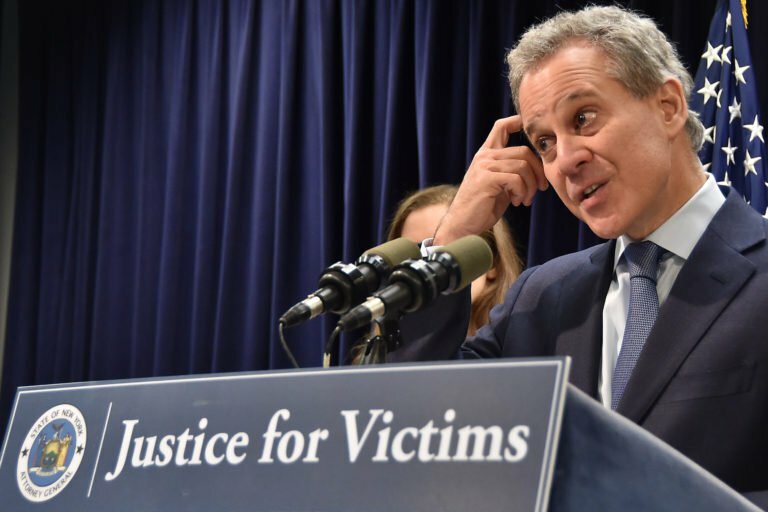 Schneiderman’s viciousness is exceeded only by the usual arrogance of Lefty pols. As Fred indicates, virtue signaling seems to be what passes for virtue in those circles.